WE BRING THE BEACH TO YOU! NO TAN LINES OR HEAT WAVES! 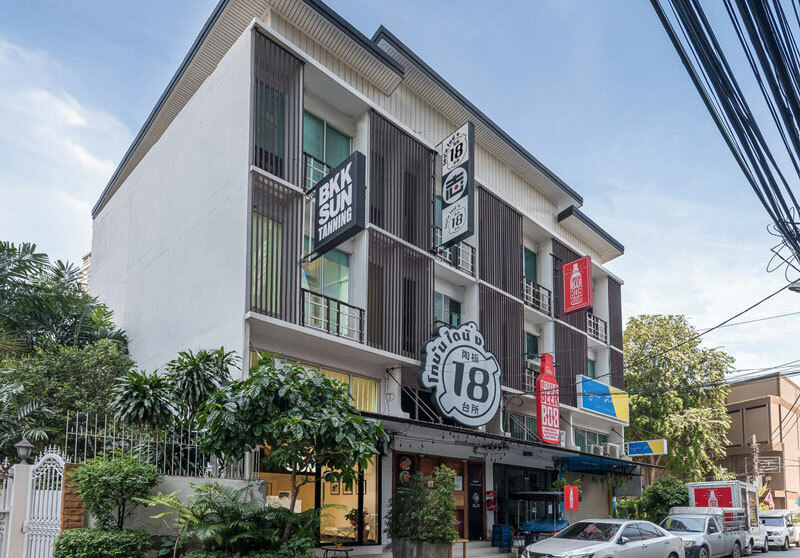 Welcome to BKKSUN, the Kingdom of Thailand’s First Tanning Studio. Every day, millions of people around the world stop by their local solariums for a little sunshine. Now BKKSUN brings the luxury of indoor tanning to the cosmopolitan city of Bangkok. No expense has been spared to design chic, comfortable and arctic cool private tanning suites for our guests. We have imported the finest equipment and a full range of luxury sun tan lotions. Plus, we offer state of the art BKKSUN Pro Mist Spray Tanning with new products and services coming soon.